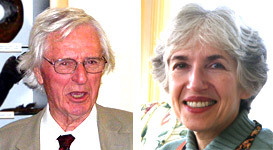 Quotes from Dava Sobel and Sir Arnold Wolfendale following demonstrations at the Tercentenary commemorations, in October 2007, of the HMS Association loss. More than 44,000 shipwrecks have been recorded in the waters around Great Britain and Ireland, representing the whole span of maritime history, from ancient to modern times. Now, SHIPWRECKS UK offers a unique computerized tool for exploring and comparing all these past disasters, so that new insights into their significance can be gained by historians, archaeologists, divers, researchers, students, and amateur enthusiasts. SHIPWRECKS UK is an admirably detailed resource, sophisticated yet friendly, and as engrossing as any video entertainment. This database is a 'must' for both us, as an Island race, and also for the wider international community. The historical aspects of 'shipwrecks' are of increasing interest, not least from progress in techniques of navigation where (alas for me!) astronomical methods failed but horology came to the rescue, in the form of John Harrison, the self-taught clockmaker. Funding must surely be found for this resource. This visual database represents the future in the analysis of shipping losses and shipwrecks. The ability to make cross-comparisons and search in almost unlimited ways is of inestimable value to divers, researchers, historians, genealogists, and anyone with even the remotest interest in our maritime past. The NAS demonstration of Shipwrecks UK has convinced me that it has the potential to revolutionise maritime research. The value for research is already stunning. The ability to abstract trends and comparisons instantly saves literally years of work. Mike Williams, Senior Law Lecturer, Wolverhampton University. Member of the Nautical Archaeological Society Executive and the Joint Nautical Archaeological Policy Committee. Shipwrecks UK provided a very detailed account of the loss of LCT-427, on which a relative of mine died immediately after D-Day in 1944. I was impressed by their services and was very happy to make a contribution to their ongoing work. Steve Gerard - family genealogical research - March 2010. The new Shipwrecks UK database is a tremendously useful tool for professionals, recreational divers and for all those with an interest in maritime history. This is an easy to use, intuitive digital resource, whose search functions and cross referencing capabilities can place our history into broad context at the touch of a few keys. Suzanne Pleydell - Group Manager, Education & Instructor Development, PADI International Ltd, and member of the UK Government's Advisory Committee on Historic Wreck Sites. Thank you so very much for your excellent work on the loss of the KELSO. Shipwrecks UK was an important resource in my being able to fill in missing details of a family member's life. This type of database is exactly what we would need in our work. It looks extremely useful and gives a digital dimension to the already excellent Shipwreck Index. This does all the things it should do as a major tool for the serious wreck researcher, and much more beyond. At the same time it is so easy to use and presents information so clearly that it should be ideal for use in schools. The original Shipwreck Index of the British Isles was a wonderful resource, but this interactive electronic version is going to be even more valuable. It would be superb if funding could be found to enable this valuable resource to be available for free access via the WWW. As a prelude to searching for known shipwrecks, or trying to identify wrecks which have been located, proper and thorough research is essential. This will reap huge benefits in wreck identification as well as saving time and money. An excellent starting point, particularly for the inexperienced or occasional researcher, is to consult the series of volumes titled `Shipwreck Index to the British Isles` by Richard and Bridget Larn. These volumes are the result of what must have been a monumental effort to collate wreck information from a huge number of sources. What is important is they contain the names of lost ships, their date of loss and location, recorded with such accuracy as was reported at the time of loss. From these starting points, the researcher has a substantial head start, since the most vital leads for further research are there. The Indexes should form part of every wreck researcher`s library. The Shipwreck Index is always my first port of call when I am investigating an unknown wreck. It has been invaluable in ascertaining the identity of dozens of wrecks I have been able to put a name to. One of the latest was SS Edam, investigated and named in 2007 and now recognized as an important part of Dutch maritime history. Nick Chipchase, Trimix diver and steamship researcher.